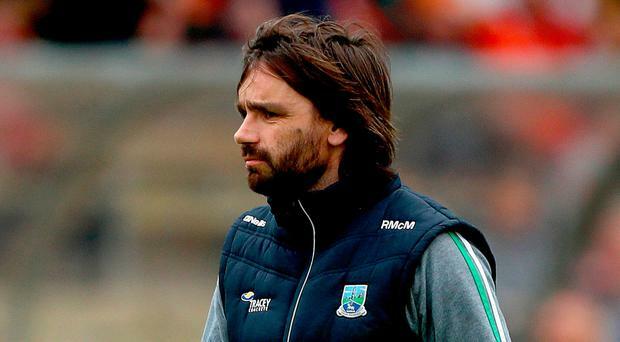 When Ryan McMenamin answered the call from Fermanagh boss Rory Gallagher to take up a coaching role within his management team, he didn't have to think twice. Triple All-Ireland winner McMenamin had scaled the heights as an uncompromising defender with the Red Hands, yet personal success and unimagined glory never deflected him from lending a hand with under-age sides in his own Dromore club and turning out for the reserve string on a regular basis - something he does to this day. It was this commitment and zeal that initially impressed Gallagher, and right now McMenamin, perhaps no stranger to controversy during his colourful playing career at the very top level, is focused on playing his part in driving Fermanagh into the history books. And when they meet Donegal in Sunday's Ulster final, McMenamin in particular will seek to ensure that the players deploy a combative edge as well as a marked hunger to close out the game. "While you can talk to players and coach them, it's they themselves who must learn how to close out games. You might get a bit of criticism from some pundits for the way in which you want to close out games but if you look at the top teams, Dublin seem to play with an edge and they can get away with murder," insists McMenamin. "If we want to become the best we have to start thinking at a higher level. I believe they have stepped up to the plate, but obviously closing out games can be the key to success." McMenamin is conscious that Fermanagh have come in for criticism because of their perceived defensive policy but points out that the team's mantra has undergone something of a change lately. "I like to think that some of the younger players in particular have learned to both defend and attack," points out McMenamin. "We have tried to work really, really hard on the attacking side of things. I know a lot of pundits say that football is not enjoyable any more but football is certainly not enjoyable for these Fermanagh boys if they are getting defeated all the time. "You look at teams like Carlow and Longford. They are certainly punching above their weight. If Fermanagh went out and played man to man, you would have pundits saying that they should have shown a bit of aggression and brought men back. "We have pundits from all the top counties, my own county of Tyrone included, who believe they know what is better for the GAA. Sometimes you just can't win." McMenamin is at pains, too, to put Fermanagh's status in perspective. "Look, there are only 20 clubs in Fermanagh, so we have a smaller player base than most counties," he says. "We also have less resources and we don't get away on foreign trips like some of the teams we have already beaten," adds McMenamin with a mischievous twinkle in his eye.